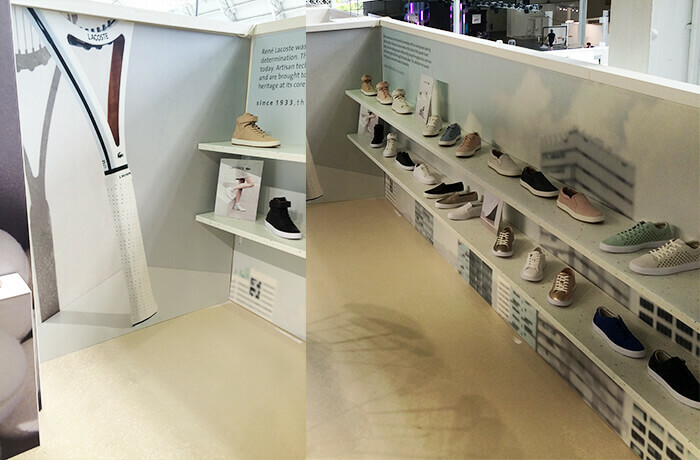 Occasionally we are invited to help our clients pre-retail. 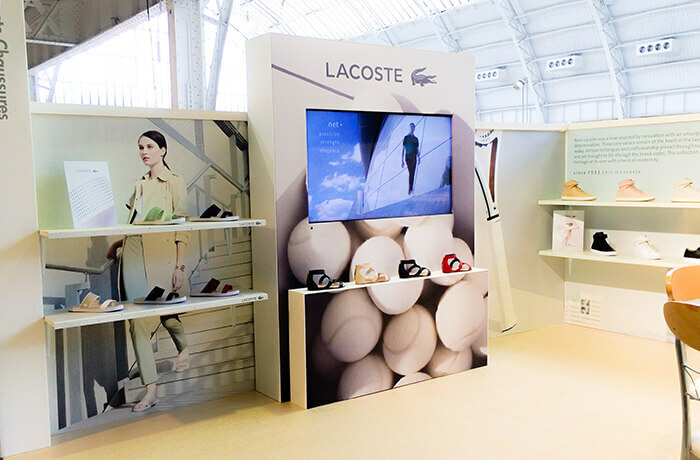 Lacoste asked for our help to present their women’s SS16 collection at Pure London. 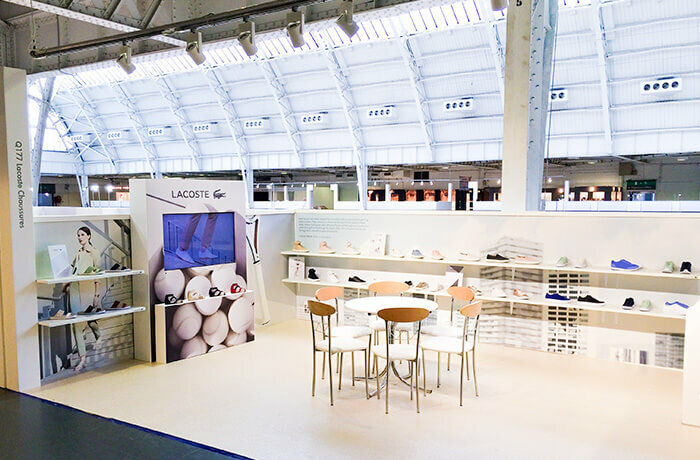 The ranges focus on their unique brand codes, and with low walls we created subtle layering and stand-out points to differentiate Lacoste from the other stands. 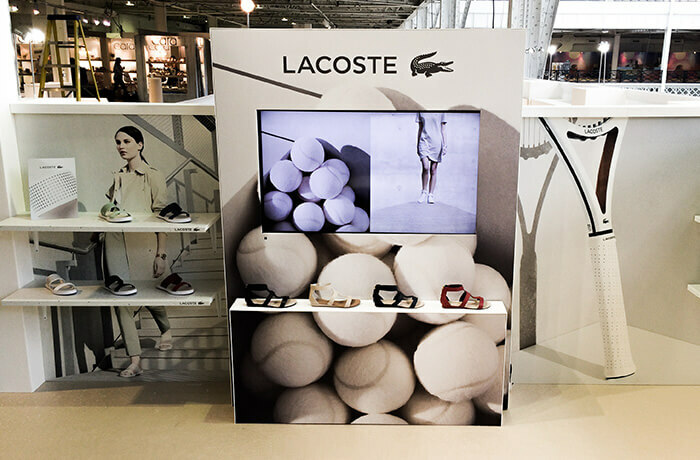 The fixtures were modular and lightweight with a built in TV screen and plenty of display shelves and plinths.